Here's your chance to grab 3 helmets for half price! 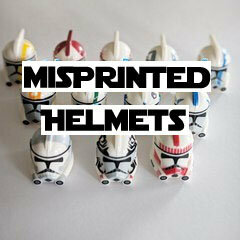 Contains 3 printed helmets with a slight error. Which means good deals for you guys! $12 value for only $6!